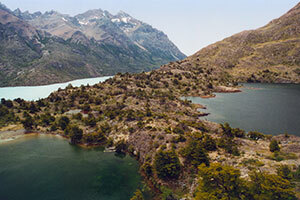 Enjoy the tranquility to relax and marvel at nature in Patagonia with Helsingfors Lodge! 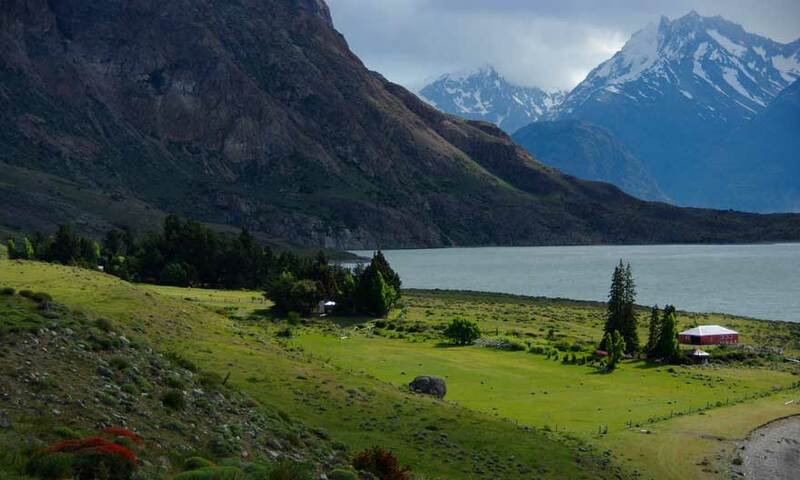 After the guest's arrival to the Patagonia luxury lodge, the guide will organize the activities they will perform during their stay, which will be reconfirmed the night prior to the activity. 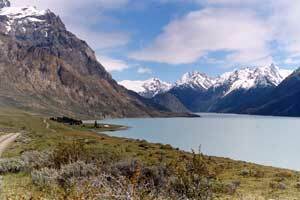 Please remember that all activities are subject to change depending on Patagonia weather, the residence time, and operational availability. 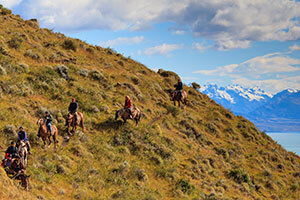 Maximum height reached during the tour: 370 m.
Journey time: Trekking: 3:30 pm. Piggyback: 3:00pm. 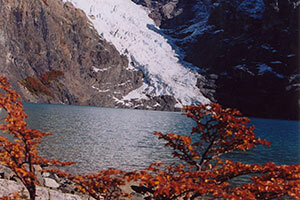 Taking this course, hikers cross the river and after a climb they will enjoy a spectacular view of Lake Viedma. Going through the three gaps you can see the typical vegetation of the steppe and lots of birds of the region such as flamingos, blemishes and geese. 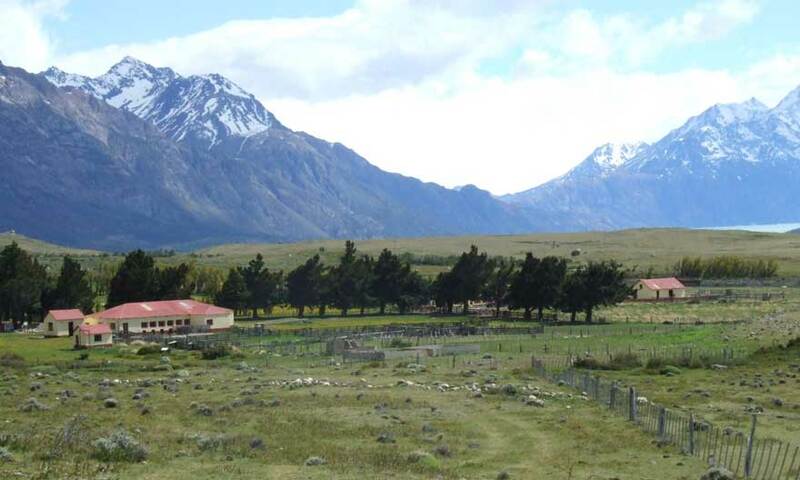 After an hour of walking, we will reach the Estancia Los Hermanos, where you can visit the shearing shed, the garden that caters to Helsingfors, and meet a true Patagonian farm in full operation. This is one of the Estancias Argentina is most proud of. 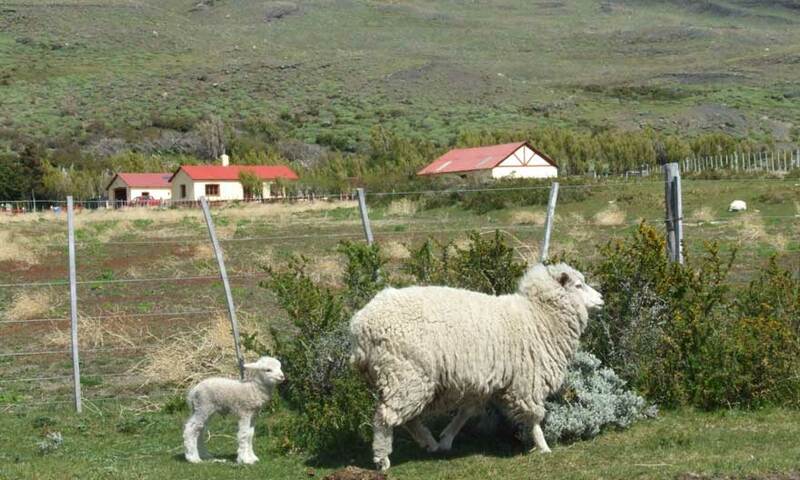 Way Brothers sheep, Guanacos, Cows and Horses are spectacular, many of them descendants of the Quarter Horse stallion that is in the room. 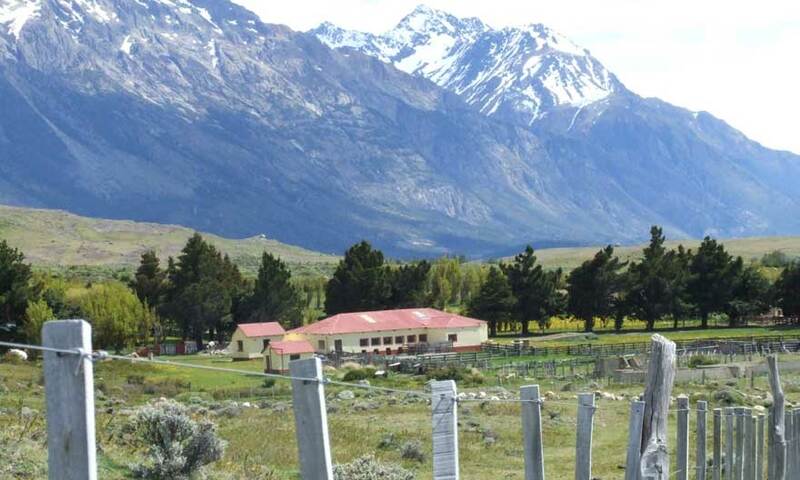 After the visit, one can stay back to enjoy the wonderful view of Helsingfors Lodge. This is one of the finest Estancias Argentina has to offer, and is true to the historic principals and ethics that make the nation proud.